Hyde Park Picture House – they’re book lovers too! Also – COMPETITION!! There is nothing better than finding like minded people from all around the world on twitter. Except, of course, finding like minded people based LOCALLY on twitter. And if they happen to be people or groups that I already admire and like – all the better!!! Discovering that the Hyde Park Picture House is a fellow book lover definitely hits that mark! 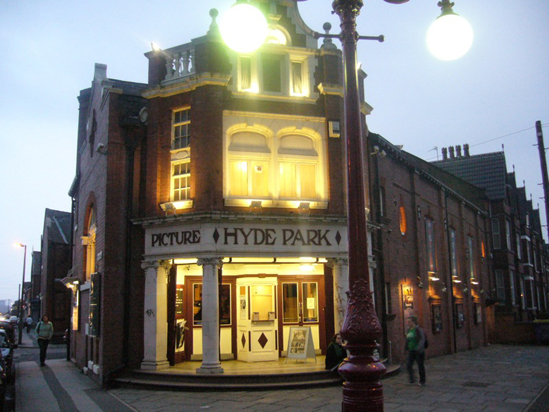 The Hyde Park Picture House – a small independent cinema, right in the heart of the student occupied Hyde Park – first opened during the Great War (that’d be WW1 to non-history lovers). Since then, it has provided a haven in Leeds – taking wars; talkies; economic downturns; television and home media in its stride. Anyhoo, last week, while plotting an upcoming post on book to film adaptations, it was pointed out to me that the HPPH have a bit of a literary tendency themselves – often showing adaptations that don’t always get wide reaching UK releases! And as they are such lovely friendly people, they’ve given us two tickets to give away!! 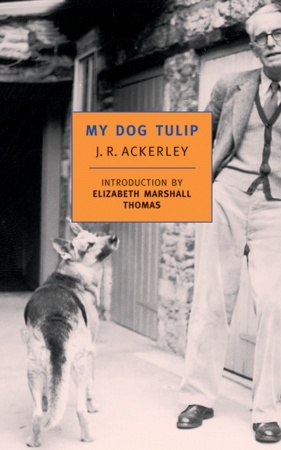 Based on the acclaimed memoir from 1956 by the late J.R. Ackerley, this is, at its essence, the story of a man and his dog. 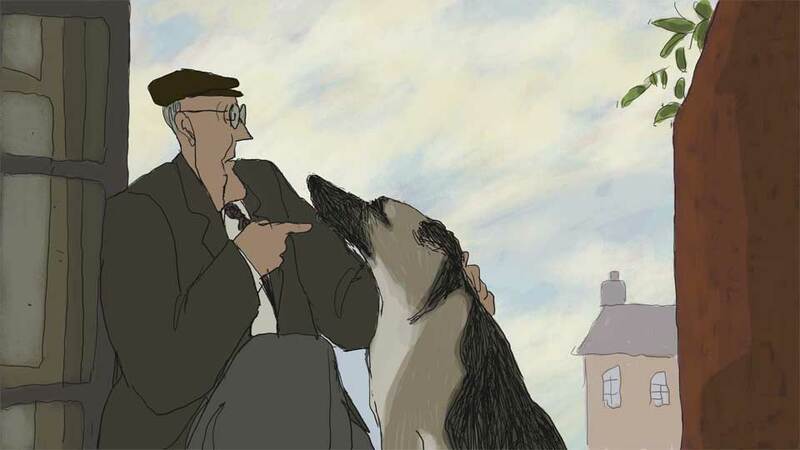 An animated film written for adults, the 15 year relationship between pet and owner and the extraordinary friendship that exists between the species is explored in a touching and often humorous way. 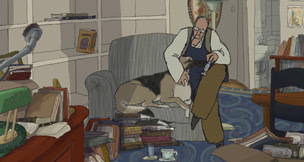 Unusually, the film was shot utilising a number of different animation styles – including simple drawings, black and white sketches and illustrations and fully rendered scenes – taking two and a half years to complete. It seems fitting that this film has been put together in a different way as J.R. Ackerley was a different sort of man. The son of a fruit merchant and actress, he early embraced his creativity. His first visits to Europe were during his service in the first world war, where he sustained injuries at the Somme, before returning to duty whereupon he was taken as a prisoner of war in Switzerland! It was at this time that he began to seriously develop his play writing skills. During the same conflict, his brother died – an event which hugely impacted on the budding young author. Later, under the guidance of E.M. Forster, he worked in India, developing views that coloured his expressive writing for the remainder of his life. While working at the BBC, he is credited with discovering and promoting many young writers – including such notables as W.H. Auden, Philip Larkin and Francis King. Openly homosexual, he delighted in confounding expectations -refusing to hide his true feelings on or off the page. Despite a wealth of friends, he was often lonely, relying on his pet dog for the comfort and love he seemed unable to find in one person. Indeed, he seemed to recognise himself that he drove most of his friends away to spend time with Queenie – renamed Tulip for the book and film. He passed away in 1967 at the age of 70. To be in with a chance to win two tickets to the HPPH – time and date to suit you – simply caption the following picture in the comments section below! The first rule of book club…. Try and remember this time: the cat next door fits easily through a cat flap. You don't.